Also known as “Birks of Endermay” (unofficial). 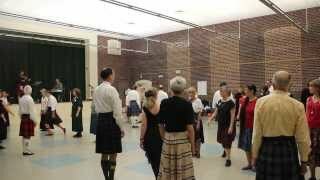 The Society’s version of this dance can be traced back to Skillern's Compleat Collection of Two Hundred & four Reels and Country Dances of about 1789 where it is given as Birks of Endermay. Added on: Aug. 23, 2014, 6:20 p.m.
Rachel Pusey - San Jose Class 10/30 2017-10-30 Rachel Pusey Oct. 29, 2017, 10:22 p.m.
Scotia Basic 2019-01-28 2019-01-28 Marc Hartstein Jan. 30, 2019, 9:01 a.m.
Scotia Dancers 2018-03-12 Social 2018-03-12 Marc Hartstein March 9, 2018, 9:34 p.m.
HHK 2018.10.23.18 2018-10-23 Elizabeth Buonomo Oct. 22, 2018, 3:09 p.m.
Bonn 2016-01-25 (Programme) 2016-01-25 Uta Hasekamp Jan. 21, 2016, 11:43 a.m.
Chiswick ~ 160626 Midsummer Magic 2016-06-26 James Wilson May 27, 2016, 10:22 a.m.
Headington 19 May 2018 2018-05-19 Sandra McLevy May 20, 2018, 4:59 p.m.
Fleet 2013-04-13 Spring Apprentices' Dance 2013-04-13 David McQuillan March 14, 2013, 12:49 a.m.
Scotia Basic class 190304 2019-03-04 Sue Ronald Feb. 28, 2019, 9:04 p.m.
Bonn 2015-08-17 Uta Hasekamp Aug. 18, 2015, 12:55 p.m.
Lethbridge 2019/04 April Social 2019-04-24 Gail Michener April 19, 2019, 10:01 p.m.
Hamburg Beginner Workshop and Dance 2018-01-20 2018-01-20 David Quarrie Jan. 14, 2018, 8:09 p.m.
HHK 2018.05.01 Keira Hartstein April 30, 2018, 5:11 a.m.
Enniskillen Beginners Programme 2015-05-01 Ruth Clarke May 6, 2015, 5:24 p.m.
Wrexham Monday 6 March 2017 2017-03-06 Andrew Locke March 3, 2017, 12:12 a.m.
Delmenhorst 2013-02-12 2013-02-12 Sir Toby Feb. 18, 2013, 8:45 a.m.
Bonn - Auftakt 3.9.2018 2018-09-03 Eva-Maria Beckmann Aug. 30, 2018, 9:40 p.m.
RSCDS BHS 2013-12-28 Christmas Social 2013-12-28 David McQuillan Nov. 15, 2013, 10:42 p.m.
RSCDS New York Branch - Feb 22 2018 Experienced class and after the break dances Sue Ronald Feb. 18, 2018, 5:24 p.m.
RSCDS New York Branch - Feb 22 2018 Basic Class 2018-02-22 Xiaowen Yu Feb. 19, 2018, 6:21 p.m.